The Slim Light LED Series is available in 2, 4 and 6-Lamp models. 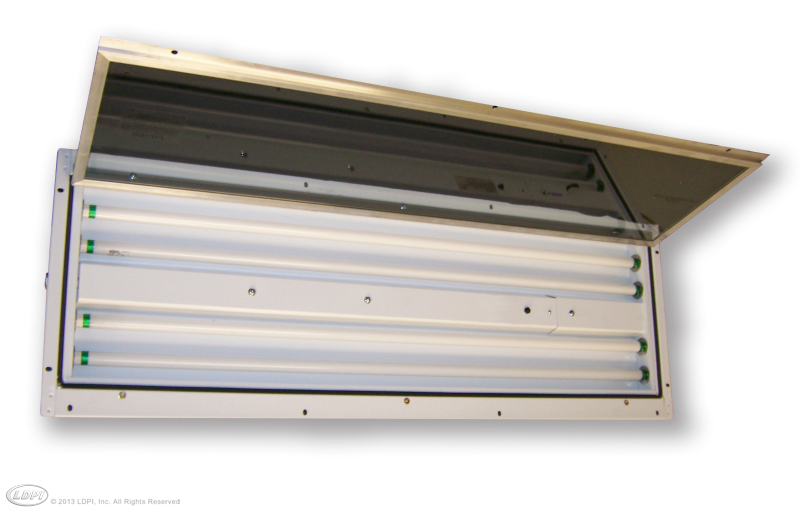 The Slim Light LED Series features a 20 Ga. white powder coat steel housing that is only 2 ¼” thick. The Slim LED Series is available as a 4’ fixture with 2, 4 and 6 LED lamp options, it can be built with low, standard and high ballast factor ballasts and is available with 4000 and 5000K LEDs. This series provides a hinged front door lens assembly with a paint spray cutoff switch when opened. This fixture must be installed with the hinge side up when being horizontally mounted. LED lamps included.